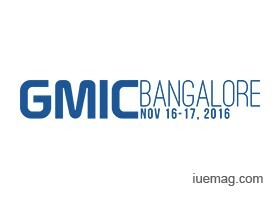 GMIC Bangalore will also feature India’s biggest mobile related expo. The expo will host a number of international and Indian companies that have offerings in the mobile space. Some of the companies that will be presenting at the GMIC Bangalore expo include Cheetah Mobile, Baidu, Meitu, Appsflyer, IronSource, Kika, Yeahmobi, VServ, Mobvista, Taptica, Avazu, Leadbolt and Tune. GMIC Bangalore will comprise of 2 days of Thought leader stage and Developer’s stage and 2 days of Expo. Dedicated tracks like Internet of Things track, Mobile marketing track and G-Startup track will have discussions and presentations focused on a particular theme. As a partner of GMIC Bangalore, we are offering our readers a 25% discount on the passes at GMIC Bangalore. Click here to avail discount. Any facts, figures or references stated here are made by the author & don't reflect the endorsement of iU at all times unless otherwise drafted by official staff at iU. This article was first published here on 3rd November 2016.